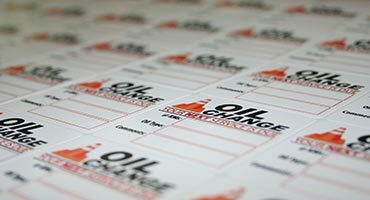 Custom oil change reminder stickers have two great advantages to your business; as a free service you remind your customers when they need to visit a garage to change the oil again, and help your business to keep customers, since when they know they need to visit a garage again, they actually see your business information as well, and they most possibly will visit you again. we use the highest quality materials, made in the USA - combined with high quality digital ECO solvent CMYK print and precise digital die-cut technologies. the lowest prices on market in the automotive industry - in case you know any other suppliers who has better prices on the same product/service that we provide, we match the price and give you an extra 5% OFF too! 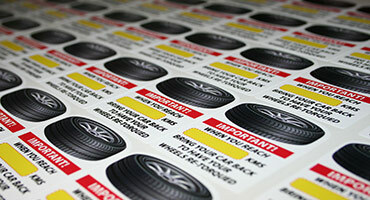 absolutely there is no any hidden cost on our products, the price you see is the price you pay ! 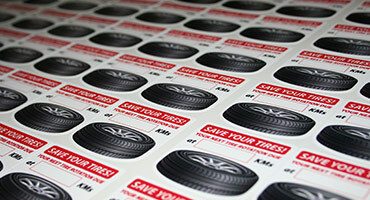 in most cases we ship out your order on the same or the next business day!